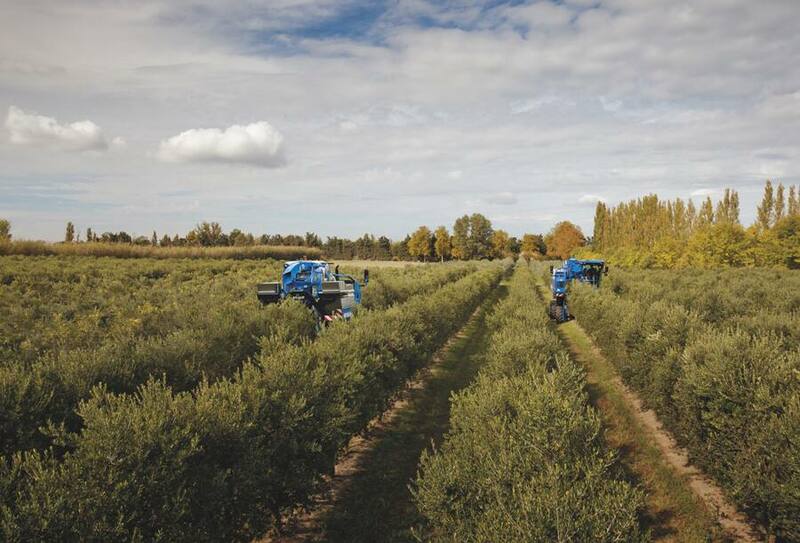 The Braud Olive story began in 1996, with the introduction of the Saphir Harvester in Spain. 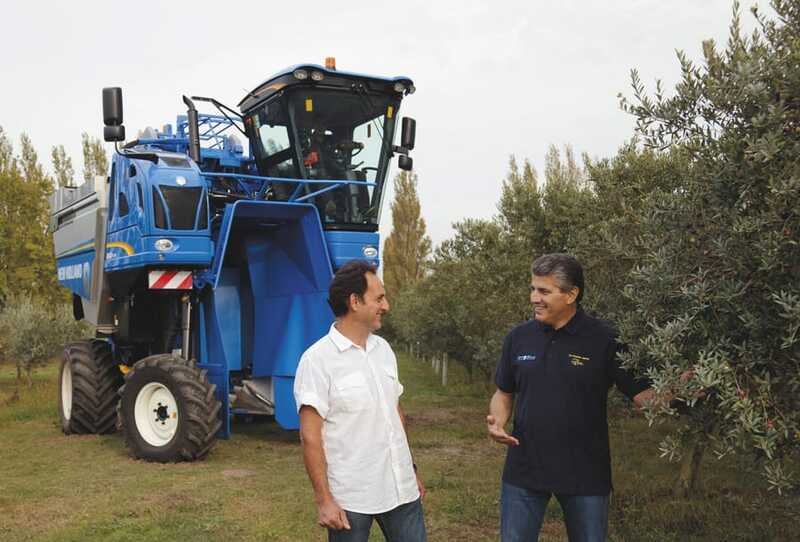 Following on its success, the first wide achine, the SB65, was launched in 2001 and designed specifically to work in super intensive olive orchards. 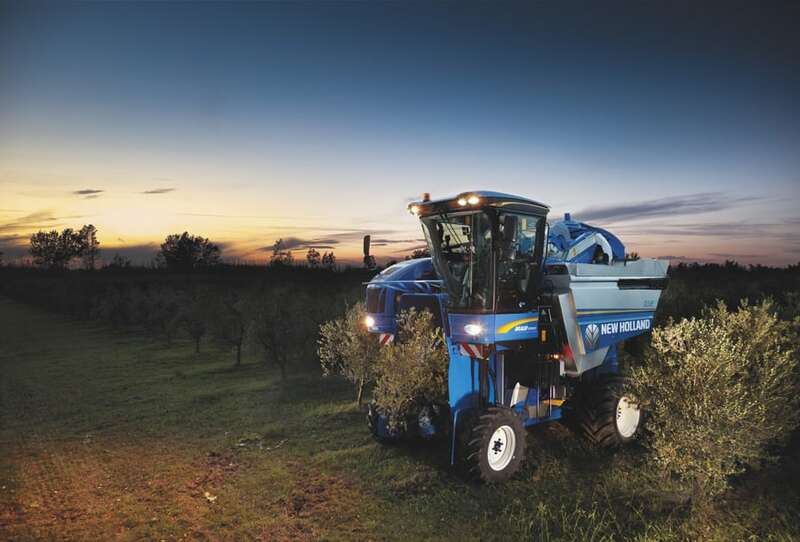 Since then, Braud harvesters have consistently delivered the best harvesting quality and productivity in super intensive olive orchards. Today the new BRAUD 9090X OLIVE series continues to be built around proven BRAUD designed DNA. 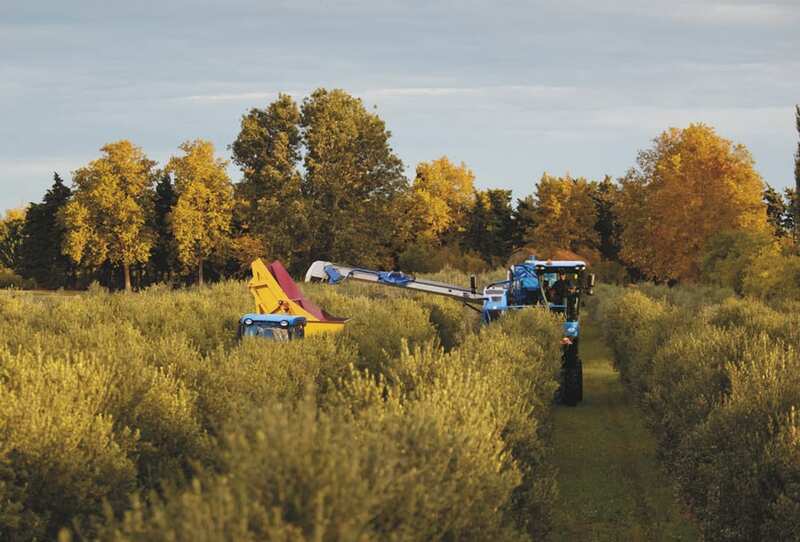 The flexible SDC shaking system with flexible rear rod fixation softly shakes and detaches the olives, resulting in the most effective shaking system available for olive trees. 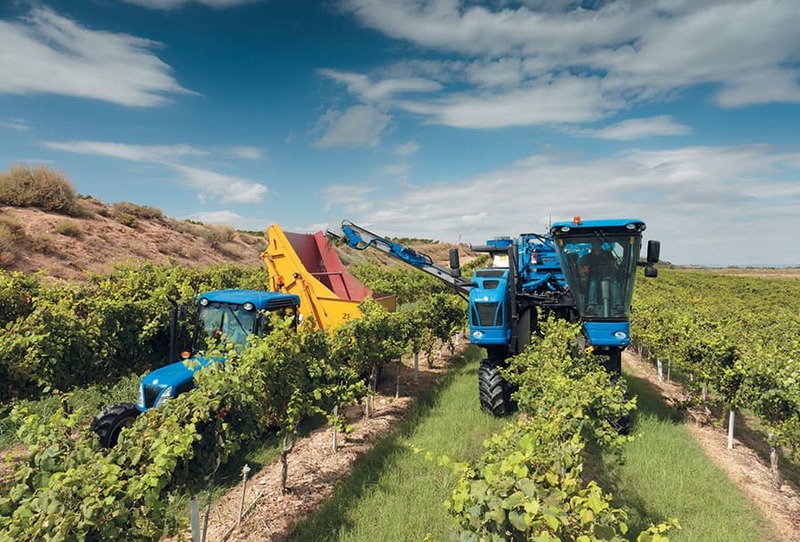 The NORIA basket system revolutionized the mechanization of grape harvesting and continues to offer the best treatment for the olive trees and harvested crop. Refined and developed, these proven BRAUD systems are now matched to an olive dedicated conveyor system and high performance cleaning fans. The result is improved cleaning and performance. BRAUD – the revolution continues. With new FPT Industrial common rail electronic engines, you get improved performance and economy. With outputs of 175hp(CV) and 6- cylinders, the new engines deliver more power and torque combined with fuel savings averaging 35%. Step up into the superb new BRAUD 9090X OLIVE cab. You will find it has been designed to fit you perfectly. Note how the seat and the steering wheel adjust to suit you. The standard armrest, with integrated joystick, provides easy access to the most used functions. 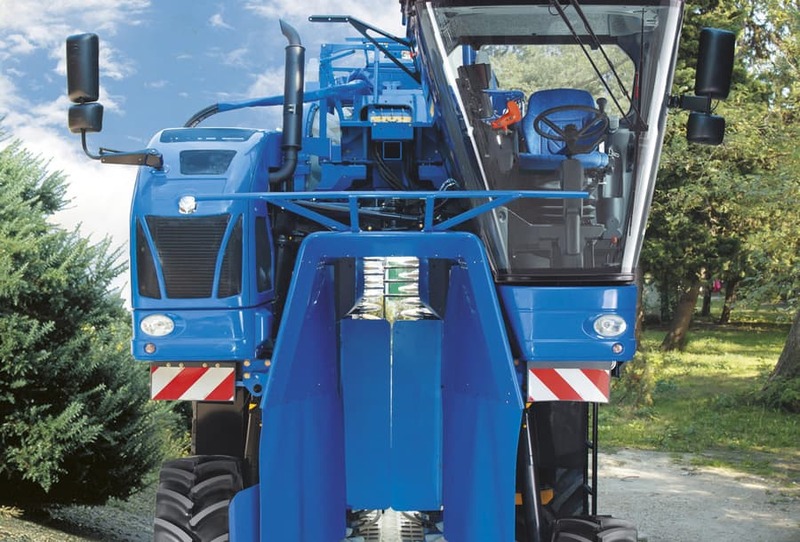 Safe, quiet and comfortable, the cab complies with the stringent Code 4 European Machine Directive. The harvest season is now shorter than ever. 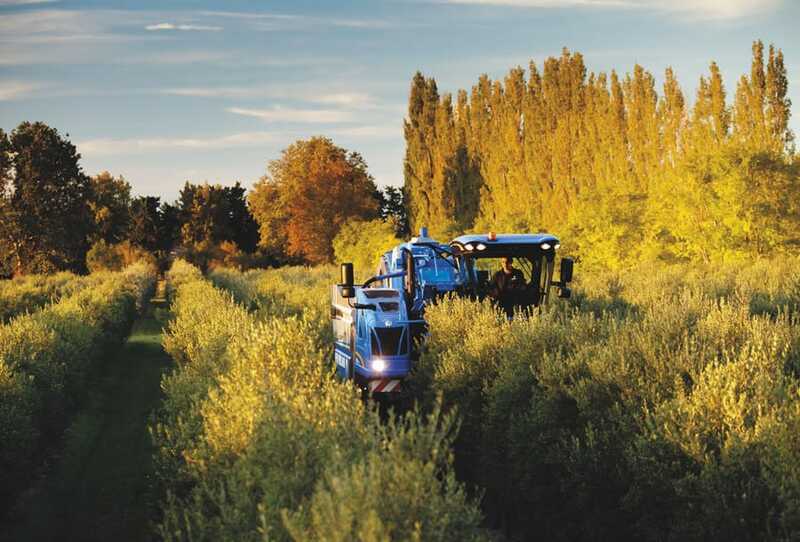 The new BRAUD 9090X OLIVE series can be set up to work in different super intensive orchards in the minimum amount of time, for maximum efficiency. 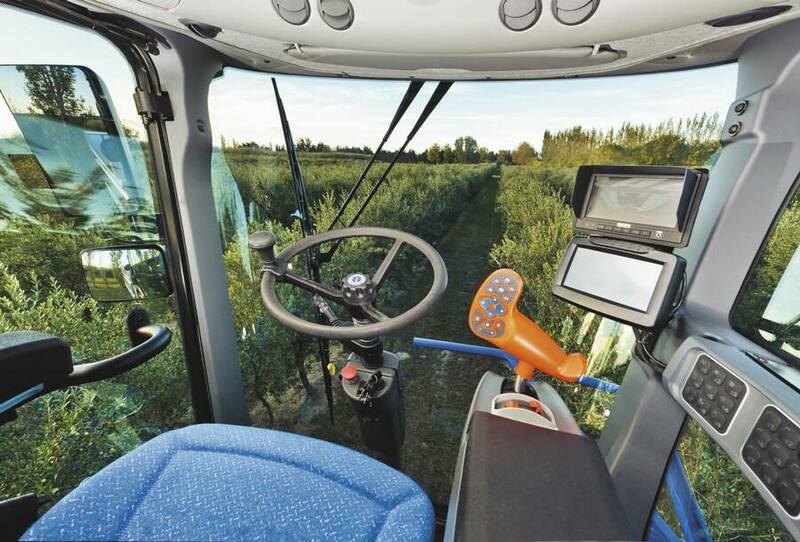 The integrated Intelligent Management System, with IntelliView™ III touch screen monitor, provides full access to all key harvester functions. 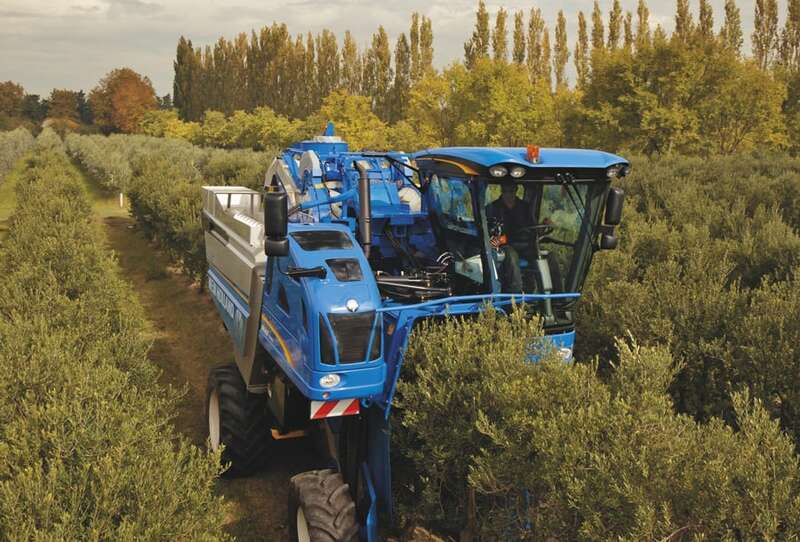 Optimizing productivity for super intensive olive orchards has never been easier. The new BRAUD 9090X OLIVE series has been redesigned to minimize maintenance time and costs. 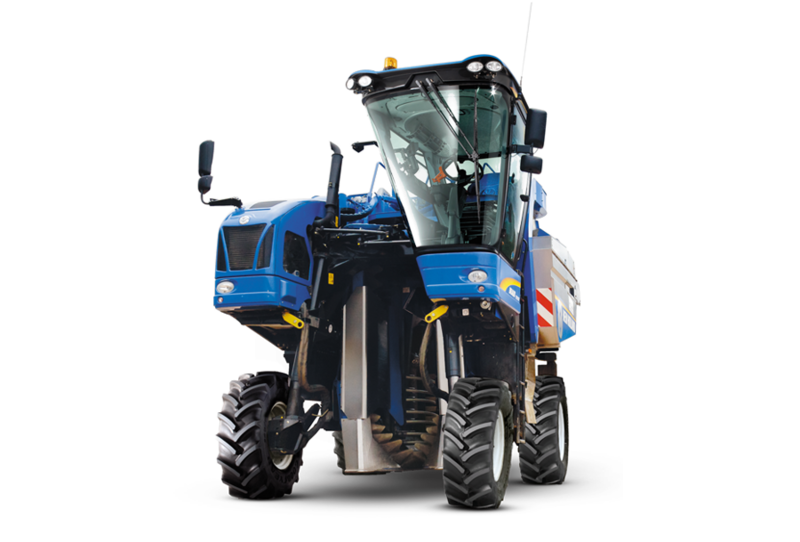 Easy service access is provided by large a hood opening, centralized greasing and optimum lubrication for shakers comes as standard, ensuring reliability and quick servicing. The FPT Industrial common rail engine needs its first service at 600h. Less downtime. More work.